Voltage: "Voltage (sometimes also called electric or electrical tension) is the difference of electrical potential between two points of an electrical or electronic circuit, expressed in volts. It measures the potential energy of an electric field to cause an electric current in an electrical conductor. Depending on the difference of electrical potential it is called extra low voltage, low voltage, high voltage or extra high voltage." Electric Current: "Electric current is the flow (movement) of electric charge. The SI unit of electric current is the ampere, and electric current is measured using an ammeter. For the definition of the ampere, see the Ampere article." Ampere: "The ampere, in practice often shortened to amp, (symbol: A) is a unit of electric current, or amount of electric charge per second. The ampere is an SI base unit, and is named after André-Marie Ampère, one of the main discoverers of electromagnetism." Electromagnetism: "Electromagnetism is the physics of the electromagnetic field: a field which exerts a force on particles that possess the property of electric charge, and is in turn affected by the presence and motion of those particles." Electric Motors: "An electric motor uses electrical energy to produce mechanical energy. The reverse process, that of using mechanical energy to produce electrical energy, is accomplished by a generator or dynamo. Traction motors used on locomotives often perform both tasks if the locomotive is equipped with dynamic brakes. Electric motors are found in household appliances such as fans, refrigerators, washing machines, pool pumps, floor vacuums, and fan-forced ovens." DC Motor: "A DC motor is an electric motor that runs on direct current (DC) electricity." Lynch Motor: "The Lynch Motor is a unique axial gap permanent magnet brushed DC motor invented by Cedric Lynch, U.S. patent 4823039 amongst others cover the motor and its construction. The motor was then developed in to a production item by Cedric and Trevor Lees in the early 1990's." Motor Controller: "A motor controller is a device or group of devices that serves to govern in some predetermined manner the performance of an electric motor. A motor controller might include a manual or automatic means for starting and stopping the motor, selecting forward or reverse rotation, selecting and regulating the speed, regulating or limiting the torque, and protecting against overloads and faults." Contactor: "A contactor is an electrically controlled switch (relay) used for switching a power circuit. A contactor is activated by a control input which is a lower voltage / current than that which the contactor is switching. Contactors come in many forms with varying capacities and features. Unlike a circuit breaker a contactor is not intended to interrupt a short circuit current." Battery Charger: "A battery charger is a device used to put energy into a cell or (rechargeable) battery by forcing an electric current through it. The charge current depends upon the technology and capacity of the battery being charged. 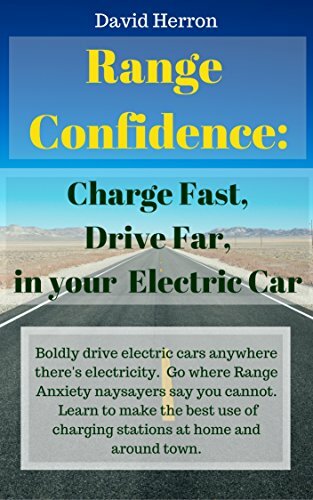 For example, the current that should be applied to recharge a 12 V car battery will be very different from the current for a mobile phone battery." Battery Pack: "A battery pack is a set of any number of (preferably) identical batteries or individual battery cells. They may be configured in a series, parallel or a mixture of both to deliver the desired voltage, capacity, or power density. The term battery pack is often used in reference to RC hobby toys and battery electric vehicles."